GraceFull Midwives have clinical experience exclusively from an of out of hospital birthing setting and Medical Board Licenses (the same as OB/GYNs). 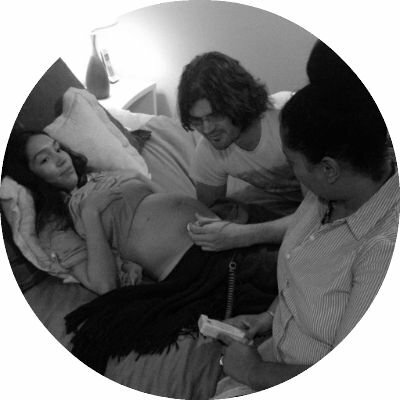 Like all of the midwives in the Los Angeles area, they are skilled in emergencies situations that keep you safe, have knowledge of homeopathy and herbs and are experts in nutrition and exercise suggestions that can keep you low risk. GraceFull is very particular in whom they work with and hire midwives who are passionate about not only offering safe medical care, but also continue to educate themselves on the newest information in Evidence Based Care and are willing to continue to learn, grow and self reflect as women and human beings. We offering care to all types of families, no matter your religious choices, spiritual paths, country you come from, language you speak or gender preferences. We are passionate about educating you on YOUR body so you can make informed choices about your body and baby. Our midwives get invested emotionally in you and your family and are wanting you to not only having a medically safe out of hospital birth, but a supported birth so you can become the kind and loving parents you desire to be. Perhaps you have a friend who just birthed at home and you are curious to know more. Or maybe your first birth was less than ideal and you are wanting another choice. Or you have just moved to Los Angeles and are looking for compassionate and nurturing care for a home or birthing center birth. As long as you have had basic prenatal care you can transfer into our care at any time during your pregnancy (Yes, we take late to care clients). We are passionate about educating our community which is why we offer free consultations with a midwife to have a tour of our center and get all of your questions answered. We also provide you with a Client Concierge to hold your hand and answer all your questions! If you want to get the process started and get your questions answered, please contact our Client Concierge Nicole Lee at 323-486-7134, ext. 1003. Or come to one of our Midwife Mingles. Make sure to call the office to reserve a spot as we are limited on space! We look forward to your family becoming part of our community!